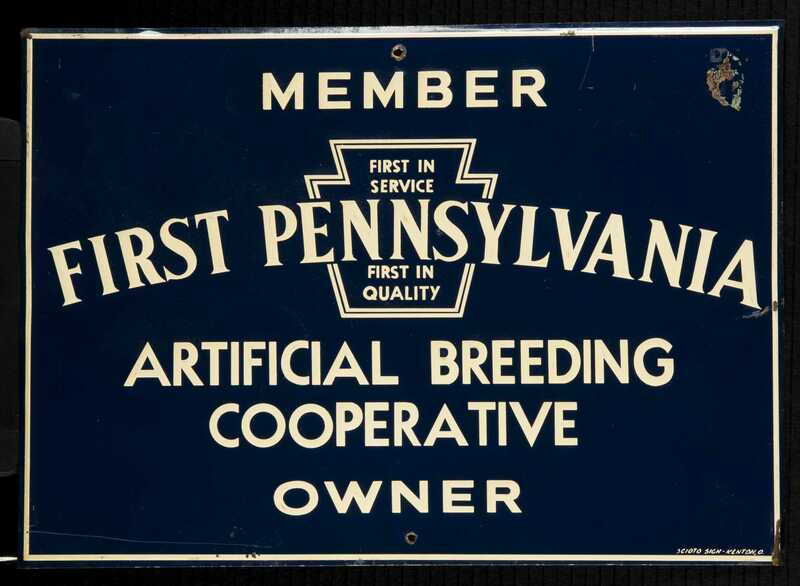 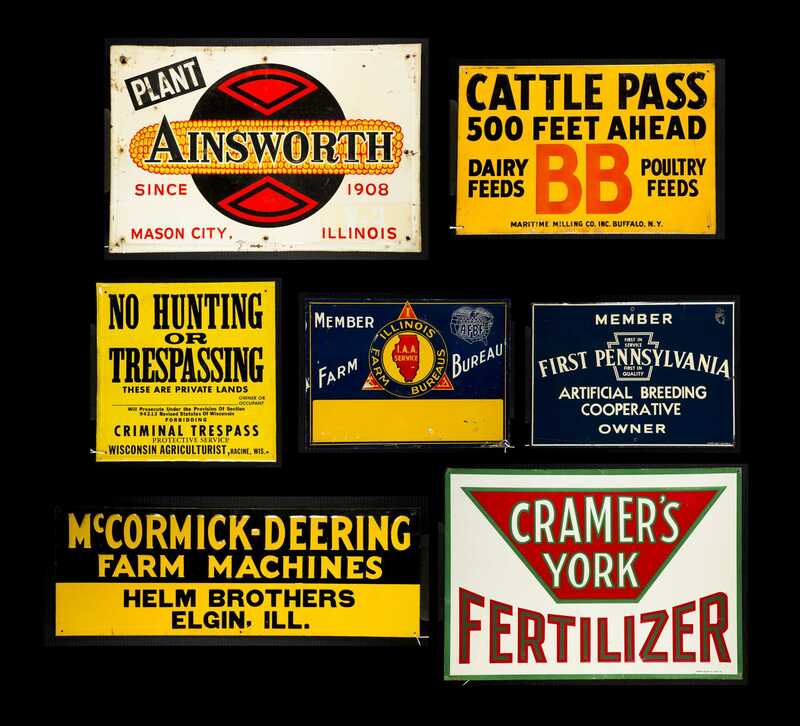 Seven Farm Country Store Tin Advertising Signs, A) 1st Penn Artificial Breeding Coop Sign, 9 1/2" x 15 1/2", dents, loss upper right. 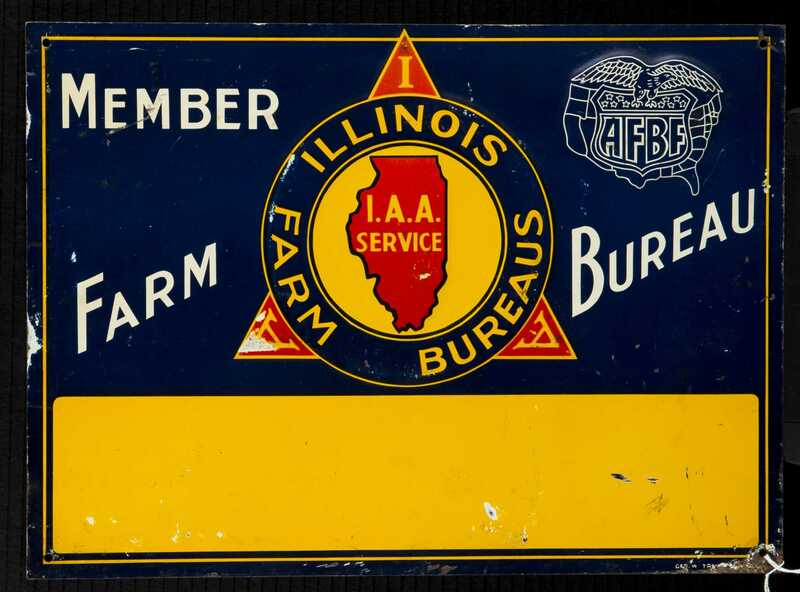 B) Illinois Farm Bureau Sign, 9 7/8" x 13 1/2", scratches. 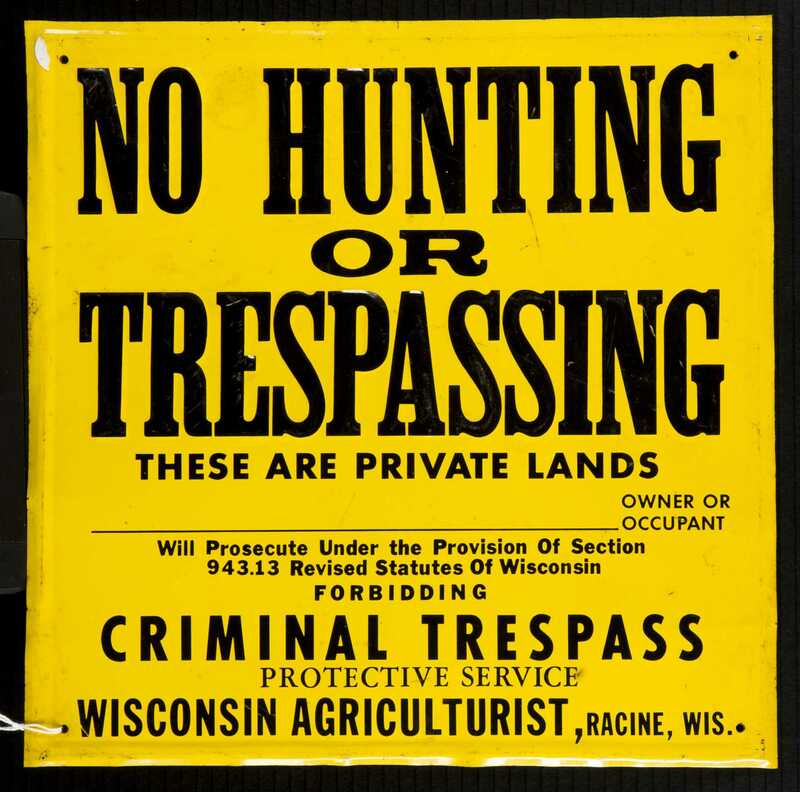 C) "No Hunting, Wisconsin" sign, 12" x 12", scratches. 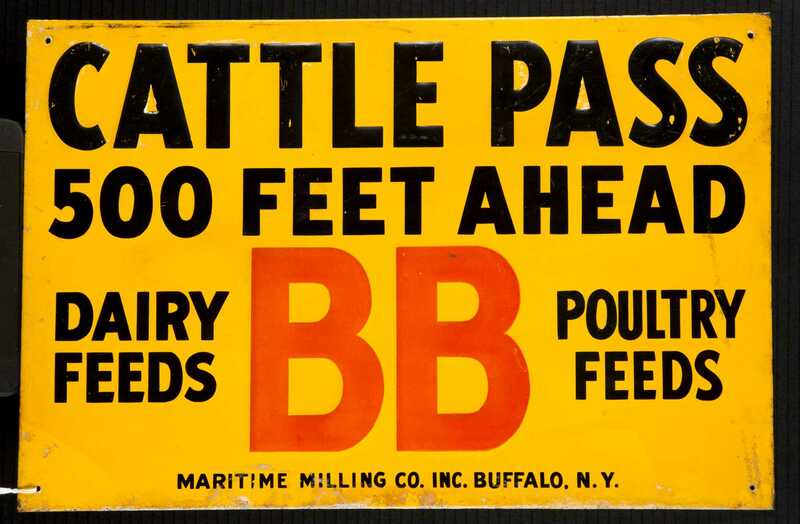 D) "Cattle Pass, BB Feeds" Sign, 11 3/8" x 17 1/2", wear. 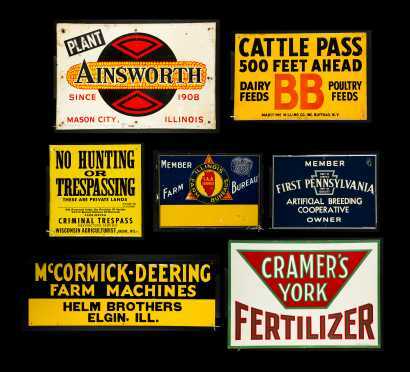 E) "McCormick-Deerin Machines", 9 3/4" x 27 1/2", dents. 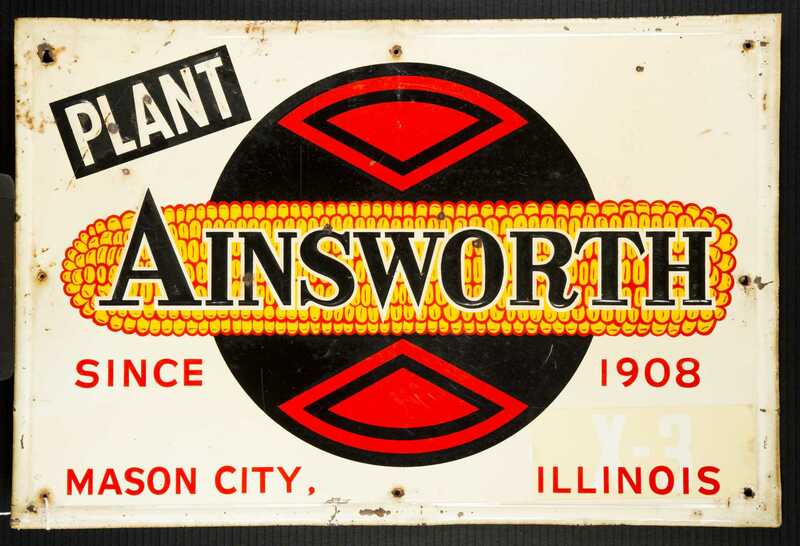 F) "Ainsworth Corn" sign, 16" x 24", dents and scratches. 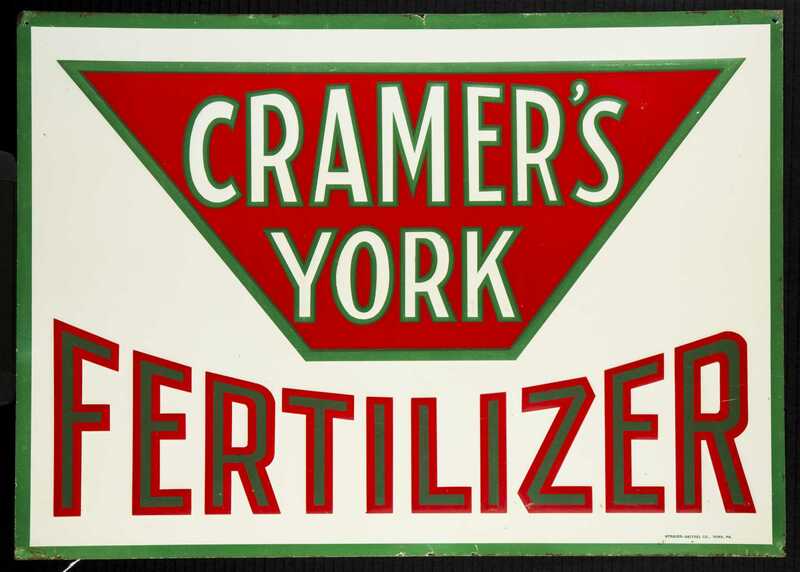 G) "Cramer's York Fertilizer" Sign, 14" x 19 1/2", edge wear.